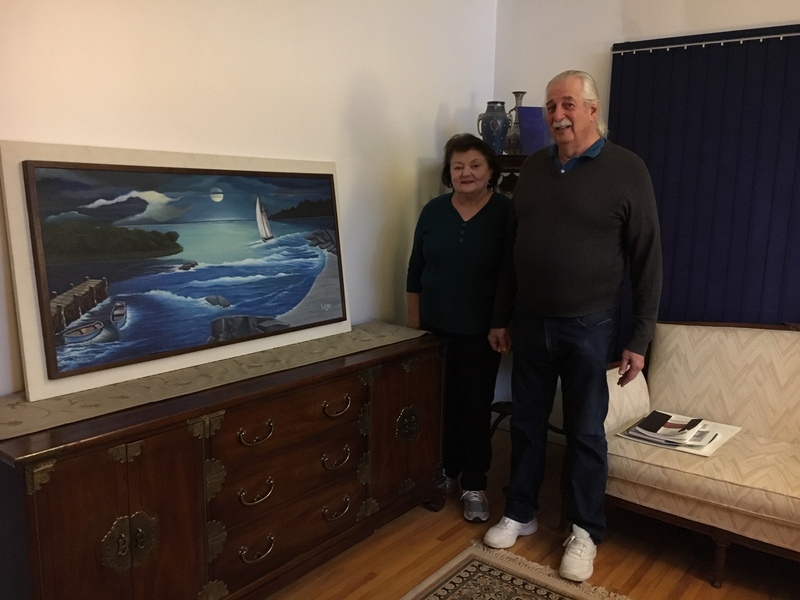 Lewis and Cathy Gutterman have discovered a whole new creative dimension in their lives together after retirement. In 2009, soon after Cathy retired she wanted to find activities that both she and her husband Lewis could enjoy together. 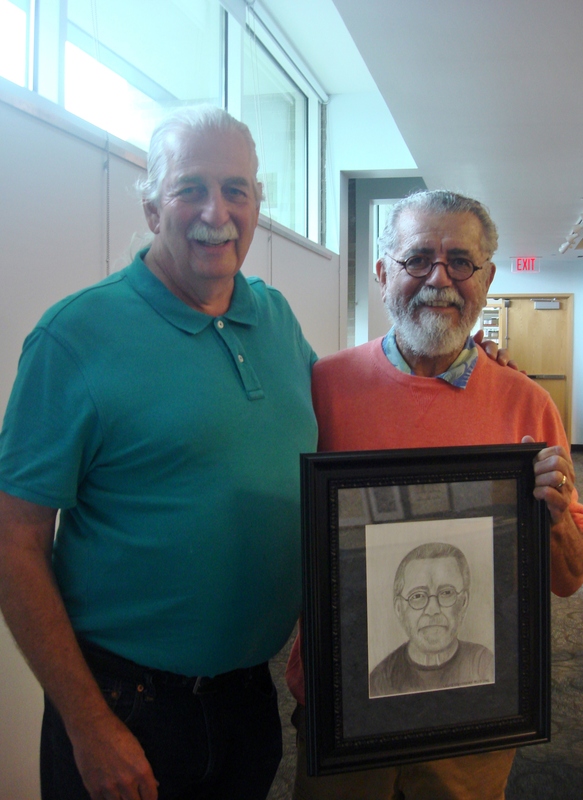 One of the first places they looked was to their local library, the Greenburgh Public Library, where they discovered the Sketchbook Drawing and Art Group program. Their retirement coincided with the opening of the Library's newly renovated building and growth of programing offered to patrons. Other places they explored were the Westchester Parks and the New York Botanical Garden, where they tried their hand at plein-air sketching. 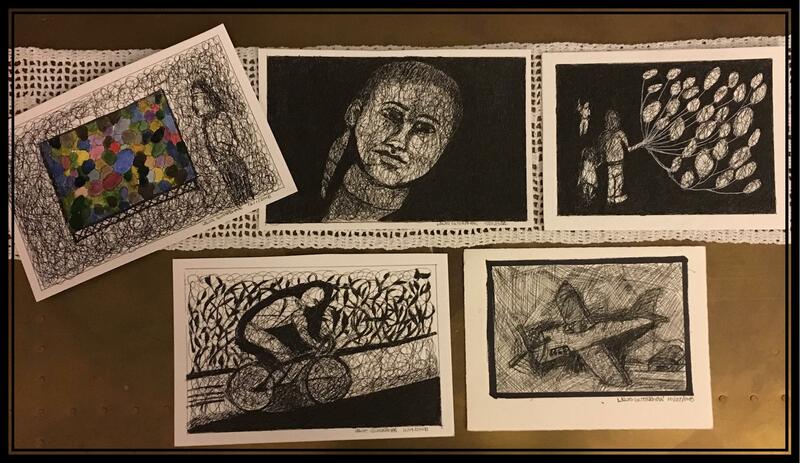 While visiting local libraries, parks and museums they met artists and became exposed to art happenings, got intrigued about improving their drawing skills, and learning to use other mediums. They discovered Pam Jones, who gave them a good foundation in drawing fundamentals. They met Joe Mullins at the Hudson River Museum, who really encouraged Lewis to pursue his portrait drawing. They met other artists such as Dolores Santoliquido, Mark Leibowitz, Naomi Campbell and Elissa Gore, at the NY Botanical Garden. 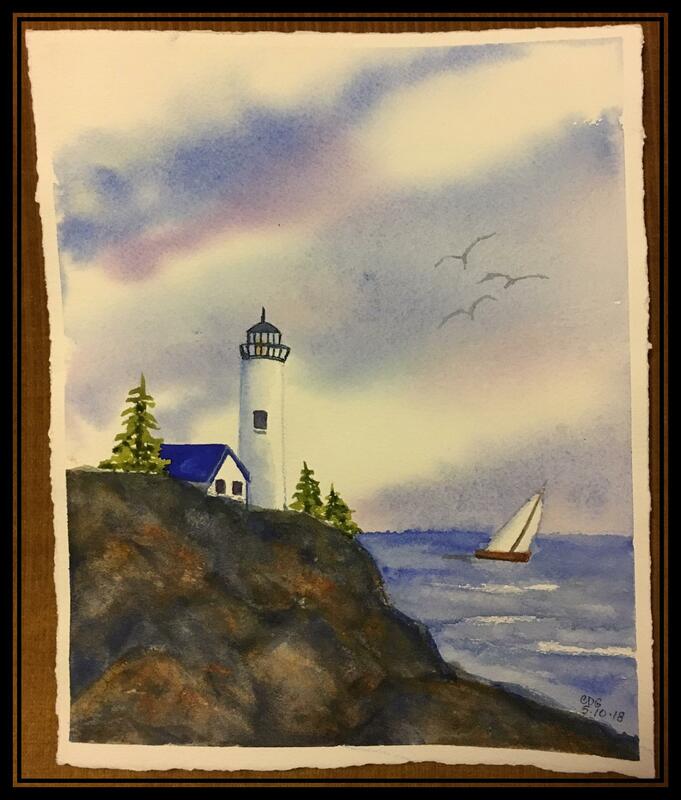 With the encouragement and support of these great artists, Cathy and Lewis started to use watercolors. 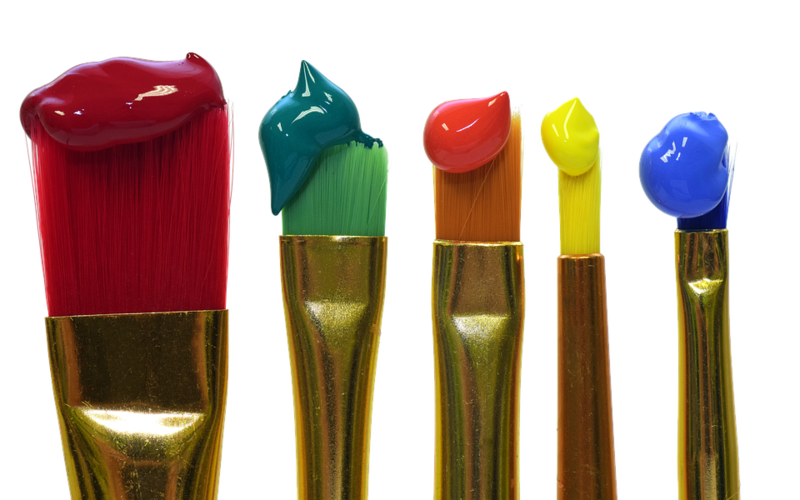 Currently they are taking watercolor classes with Jayne Conte and studying drawing and anatomy at the Blauvelt Free Library with Chris Raccioppi, a sculptor and instructor at the Art Students League of New York. In fact, Cathy and Lewis have shared art techniques they learned from these artists with other members of the Sketchbook program at the Library. 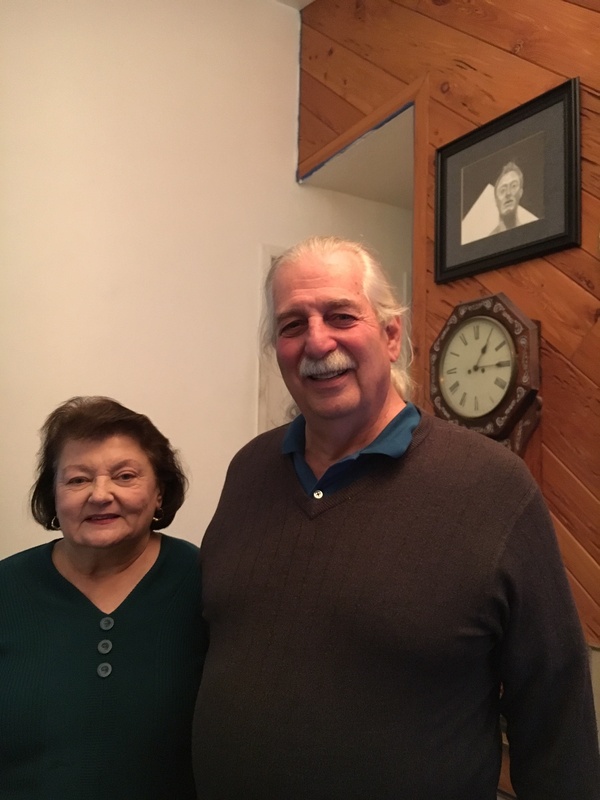 A previous blog post featured several of the artists Cathy and Lewis met and studied with at the NY Botanical Garden, and other Libraries, Museums and Parks nearby. Many of these artists have become Visiting Artists during the Sketchbook program with generous funding provided by the Friends of the Greenburgh Library. 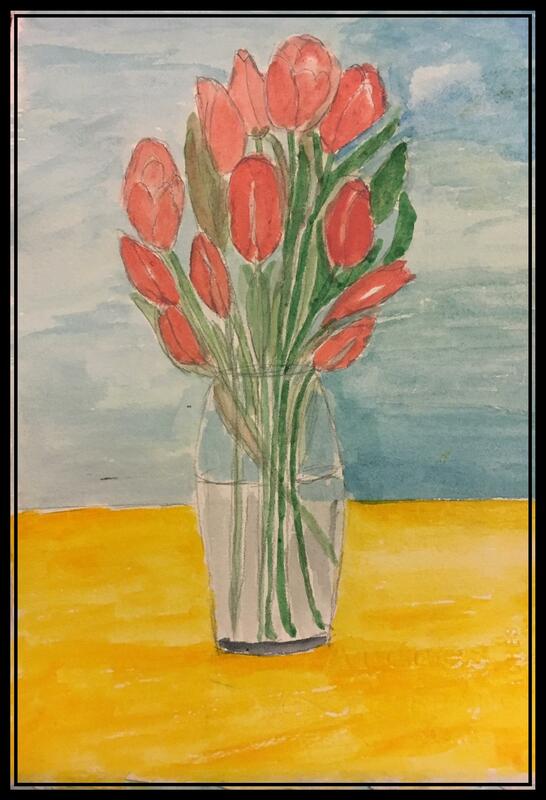 Today, Lewis and Cathy generously share drawing and painting techniques gleaned from various art books and classes they are attending in retirement. I am personally grateful to them both for widening my art horizon and sharing their passion for art with me. Question: What did you do first when you began making art? 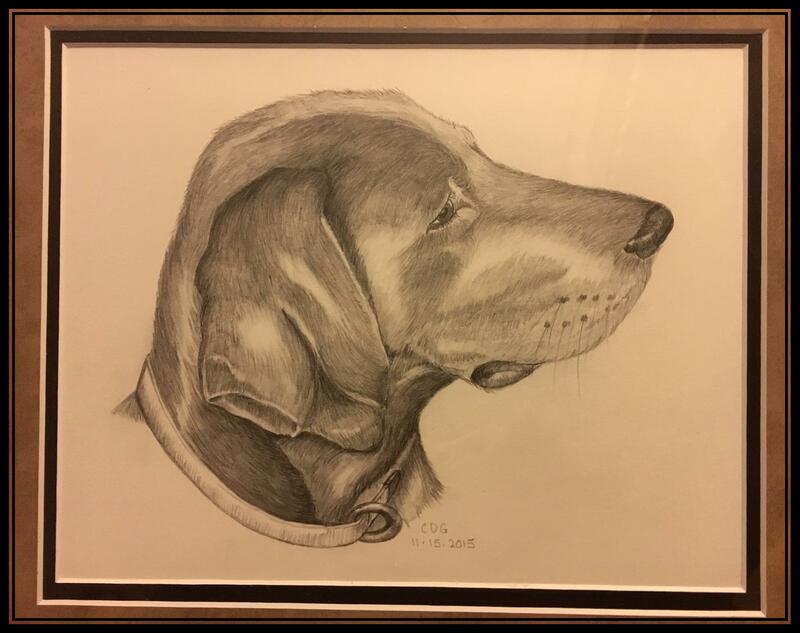 Cathy: I began working with pencil first, drawing nature, animals and trees. We tried to find classes where we could learn the basics. We found Pam Jones teaching basic drawing at a Library in Rockland County. Pam was an excellent teacher. Pam also did a series of programs at the Greenburgh Library which we attended. 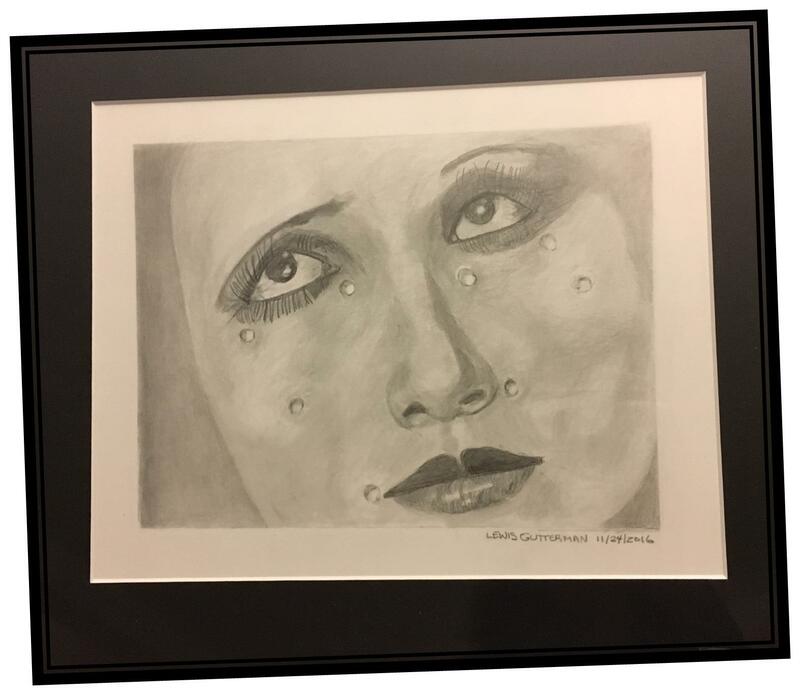 Lewis: I was amazed by a pencil drawing of an Art Deco piece I saw at auction many years ago. It was of a portrait and it always inspired me. The item sold before I was able to buy it or see it again. Ever since, I've always been interested in portraits. 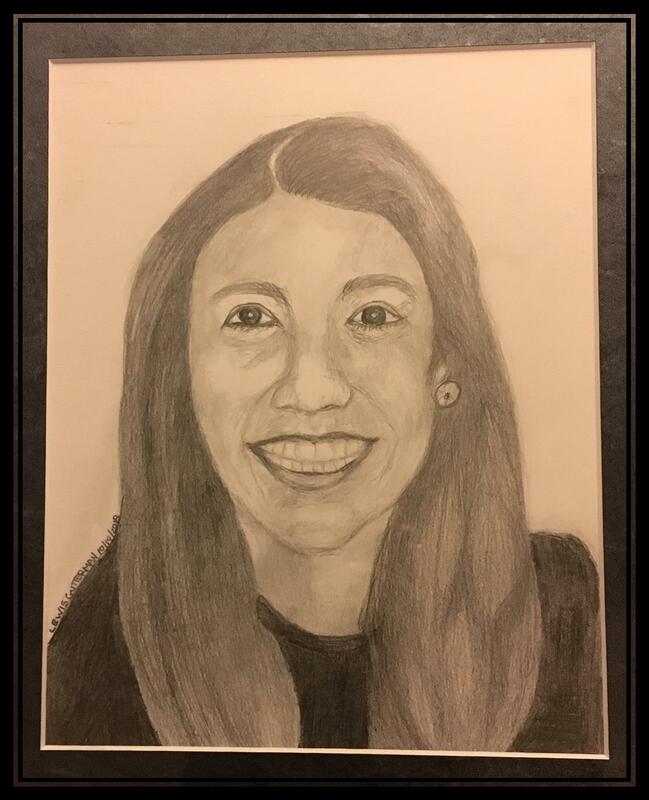 I've been impressed by the art teachers we've met and began drawing their portraits and have given the finished drawing to each of them. More recently, Lee Romero, who we met at the Hudson River Museum, and who also was a Visiting Artist during the Sketchbook program, was a great inspiration for me. 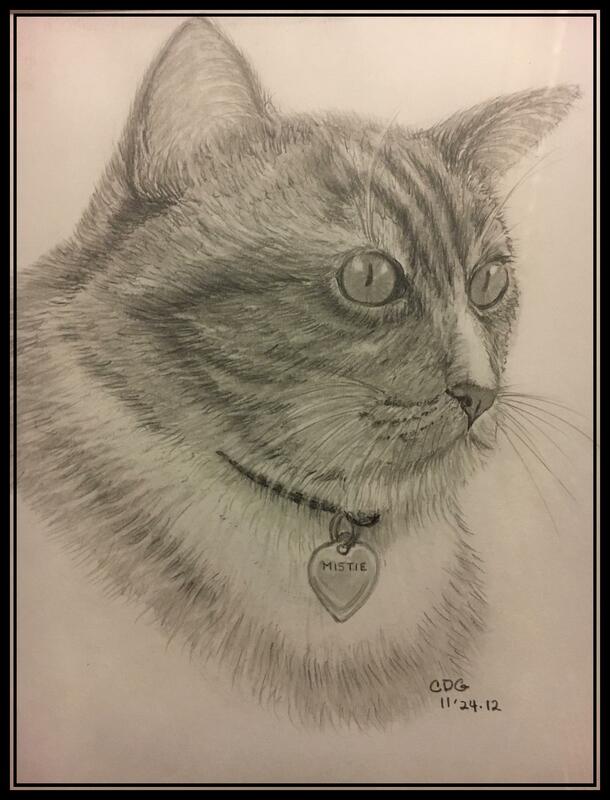 I was able to sketch his portrait and gave it to him during the Library program. We have learned so much from the guest artists as well as people in the program. 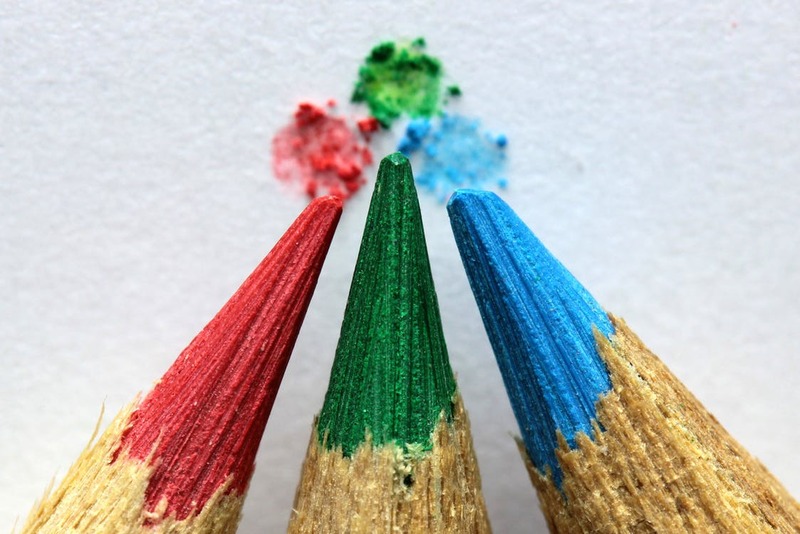 This inspires us to keep working and improving our art skills. My Grandfather also enjoyed drawing and painting portraits. He was a self-taught artist. Many of his pieces are in our home. Question: What types of drawing techniques have you tried? 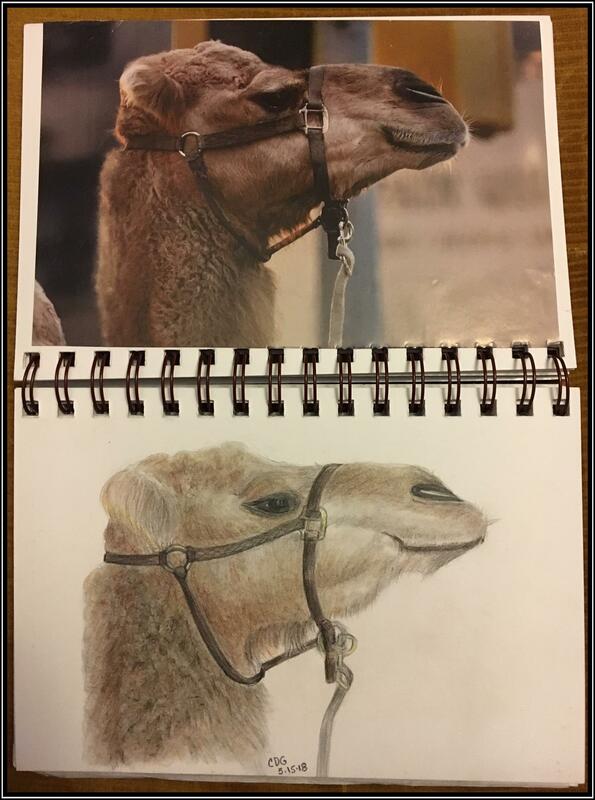 Cathy: I have experimented with many different techniques to improve shading, create different kinds of lines and how to use color. I've also used online art videos to be inspired and challenged. James Gurney's web site sends out challenges to anyone interested and he offers great tips. We took the Zentangle workshop at the Library with Jill Greenbaum and I really liked learning about how to combine lines, patterns and shading. This also gave me a chance to work with a micron ink pen and to create shapes inspired by botanical drawing from books and websites like: Sharla R. Hicks blog and a skill share site by artist Shelley Klammer called: Expressive Art Workshops. I try to work on something each day. Step away from the daily hustle and untangle with a Zentangle. Tangle-Inspired Botanicals includes more than 200 illustrations, including many finished artworks, along with written instruction. Lewis: Many artist have been great inspiration. We are constantly looking for ways to keep learning and get better. When we went to the Botanical Garden's Plein-Air Invitational in June of 2016 with James Gurney and other artists, we were able to watch them draw or paint. In connection with the Impressionism exhibit, during weekend afyernoons, they had an artist-in-resident who showed you how to paint watercolors. They provided supplies and encouraged you to find a place to paint something yourself. This was a big exposure of sharing what you did and painting outside. Artist Naomi Campbell (not the fashion model) told me not to use the green right out of the tube. 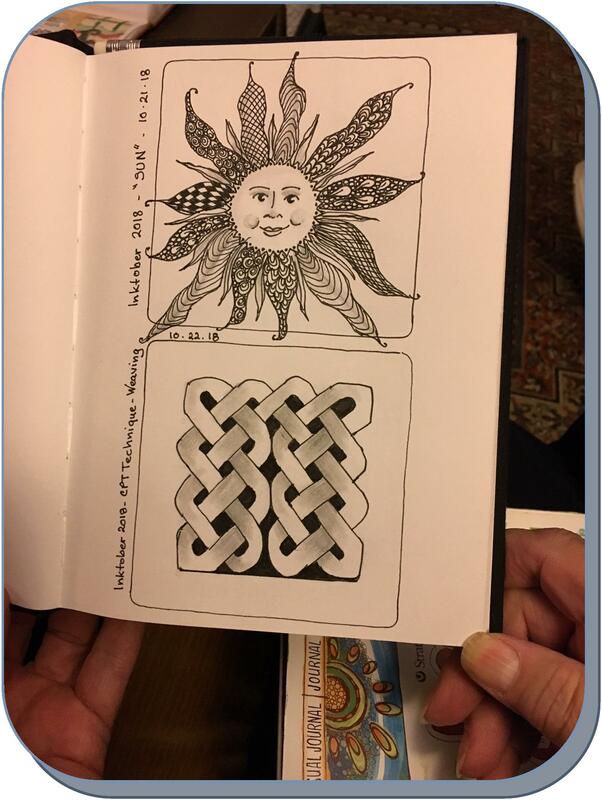 Artist Mark Leibowitz showed us his sketchbook that he always carries around. This was something to aspire to! He said that in order to catch up that I would have to do about 2 thousand more drawings. 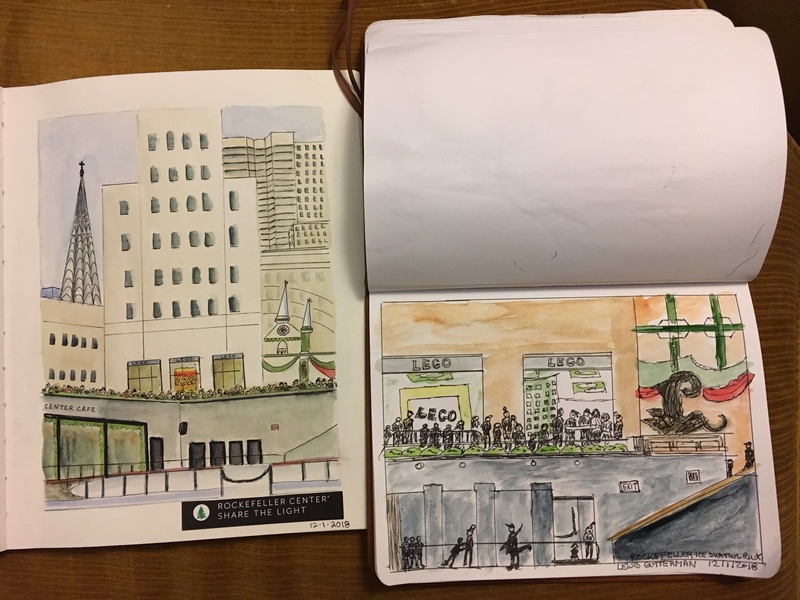 Question: What got you interested in Urban Sketchers? Cathy: We enjoy going to parks and being outside. When we met Mark Leibowitz at the Botanical Gardens, he encouraged us to come to a New York City Urban Sketchers event in Manhattan. Urban Sketchers is an international group with chapters all around the world. There are no fees and all drawing skill levels are welcome. We learn from and support each other and the get the experience of sharing our drawings. We enjoy it because it exposes us to new locations we would never have experienced on our own. Lewis: We've been to Rockefeller Plaza, Governors' Island, Harlem, the East River, Central Park Conservatory Garden, the Grotto and the Boat Pond. We decided to try meeting in Westchester. Cathy: We were able to set up a Westchester group as a compliment fo the New York City chapter. Several of the folks from the City have traveled to Westchester and many members of the Sketchbook program have joined. In the cold weather we meet at Museums or other suggested places by members. We have a good time! If you want to join you can email me: cathygutterman@verizon.net. This book provides step-by-step guidance on drawing tools and techniques and offers practical suggestions on how to use these skills in conjunction with digital tools on real-world projects. Illustrated with nearly 300 full color drawings, the book includes a series of video demonstrations that reinforces the sketching techniques. While the book's advice will improve the skills of already accomplished artists, the emphasis on seeing, learning, and feeling will make this book valuable--even revelatory--to anyone interested in the natural world, no matter how rudimentary their artistic abilities. Also Available on Hoopla to Download. Through clear, illuminating exercises, this best-selling book stimulates new ways to think about color, generating responses that unlock personal creativity and allow artists to express themselves with paint as never before. The book is profusely illustrated with over 300 drawings that include the work of famous illustrators and renderers of architectural subjects. Instructional book on freehand sketching. Ten Chapters, 419 illustrations. A good sketch starts with good bones. The fourth book in the Urban Sketching Handbook series uses drawings and simple steps to explain the often challenging and overwhelming concepts of perspective in practical and useful ways for on-site sketching. Bring new energy to your sketches of urban scenes with this fresh and simple approach to watercolor painting. Whether you're an amateur artist, drawer, doodler, or sketcher, watercolor is a versatile sketching medium that's perfect for people on the go-much like pen or pencil.